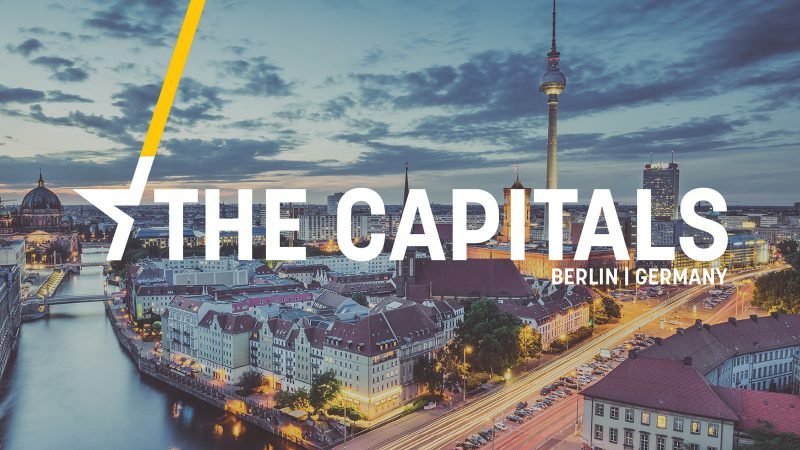 The Capitals is EURACTIV’s daily newsletter. EU left’s useful idiots’: In an interview with the German newspaper ‘Die Welt am Sonntag’, Hungary’s Prime Minister Viktor Orbán lashed out at European People’s Party (EPP) members who ask for his expulsion from the centre-right family, describing them as “useful idiots” of leftist political forces. “The Left doesn’t attack Hungary for it’s own sake, but aims to weaken the EPP. If we are gone they will then attack the Italians and the Austrians. They want to weaken the EPP at EU level, so that the socialists and the left can take over the leadership of Europe,” Orbán said. Contacted by EURACTIV.com, EU Parliament Vice-President Dimitris Papadimoulis (European Left) commented that the reaction of the EPP’s leadership at the political assembly on 20 March would demonstrate “whether it will continue to appease him or finally dismiss him permanently”. “By attacking historic EPP leaders such as Juncker and Merkel, Orbán showed that he is an unrepentantly far-right and provocative politician,” Papadimoulis added. 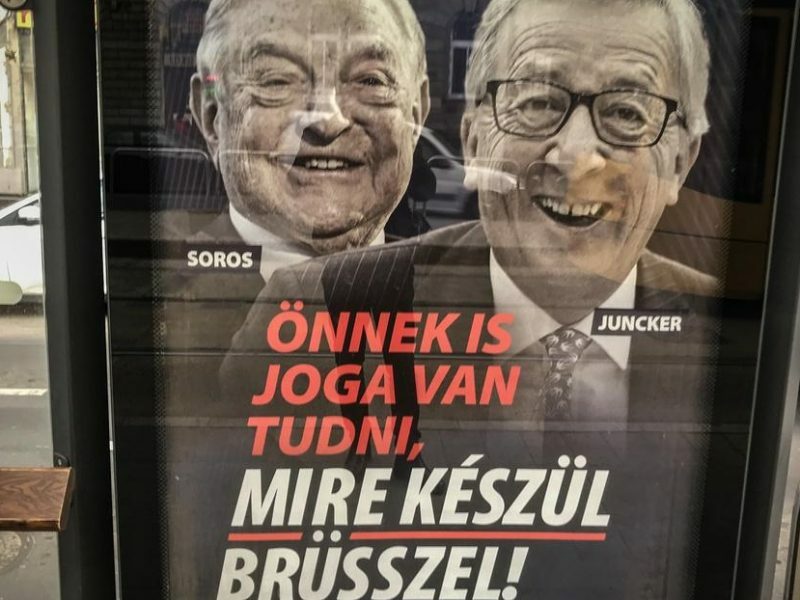 Orbán said an anti-migration poster campaign against Commission president Jean-Claude Juncker would end on 15 March but another one will start, this time against Frans Timmermans, the EU socialists’ Spitzenkandidat for the EU elections. The campaign against George Soros, an ally of Timmermans according to Orbán, will continue. Orbán says the EU Commission should stop deciding on migration issues and wants EU interior ministers to gain more powers via a Eurozone-style institution. Ten EPP members have asked for the expulsion of Orbán’s Fidesz from the EPP, and EPP Spitzenkandidat Manfred Weber has said all options are open. “I am the EPP lead candidate and it is up to me and the EPP leadership team to determine our campaign strategy, not Orbán,” Weber said. Post-Brexit food: The US is seeking “comprehensive market access” for farmers’ products into the UK, as a result of any post-Brexit trade deal, according to a government document. The admission comes as fears rise in the UK over the sanitary standards of US food quality, such as chlorine-washed chicken and hormone-boosted beef, which EU rules currently restrict the export of. 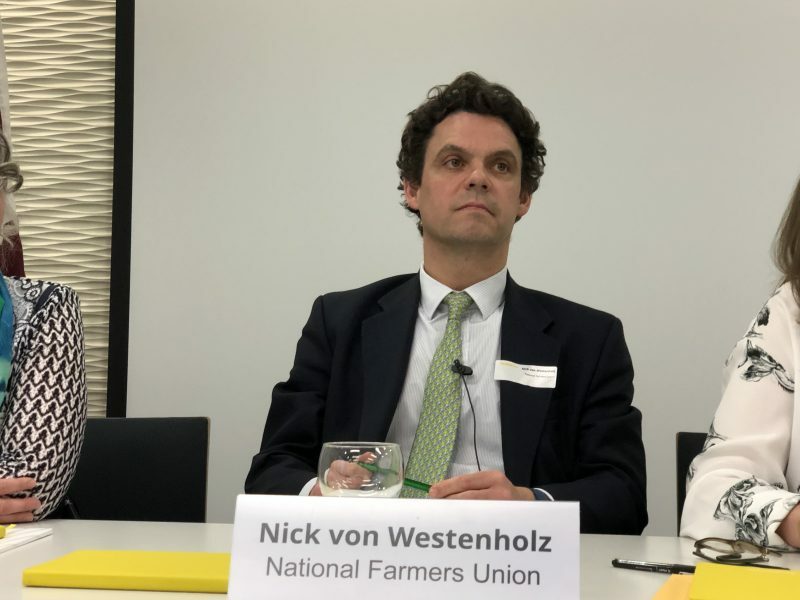 “Inflammatory and misleading terms like ‘chlorinated chicken’ and ‘hormone beef’ are deployed to cast American farming in the worst possible light. It is time the myths are called out for what they really are: a smear campaign from people with their own protectionist agenda,” the US ambassador in London said on Saturday. Spain to protect Brits in no-deal Brexit: Madrid is considering granting residence permits for British residents in Spain in case of a hard Brexit. It plans to offer new residency papers to around 400,000 UK nationals, El Pais reported. The socialist government of PM Pedro Sanchez said it would offer also offer permits to UK citizens without a permanent residence. The news was announced at the last parliamentary session of the current government, as the next elections are due on 28 April. ‘Humanitarian’ permits to Venezuelan citizens: The Spanish government has also granted residence permits to around 400 citizens from crisis-gripped Venezuela for humanitarian reasons in order to put an end to their legal limbo, government sources told EFE. Turmoil in Calais: One hundred migrants have tried to reach the UK through the port of Calais, resulting in more than 60 arrests. Elections in Gdansk: According to unofficial results, Aleksandra Dulkiewicz took a landslide victory in the elections for mayor of the northern city of Gdansk. The elections came after former mayor Pawel Adamowicz, a liberal critic of the ruling conservative party, was fatally stabbed during a charity event on 14 January. Dulkiewicz was his deputy and ran on a platform of unity and reconciliation. In order to honour Adamowicz, the main political parties did not field any candidates for the post. Water under the bridge: In an interview with state broadcaster RAI, Emmanuel Macron called on the Italian government to move on from its recent diplomatic crisis with France. “Our history and our friendship are stronger than our misunderstandings,” the French President said, adding that the dialogue with Rome is ‘essential’ for France as much as with Berlin. 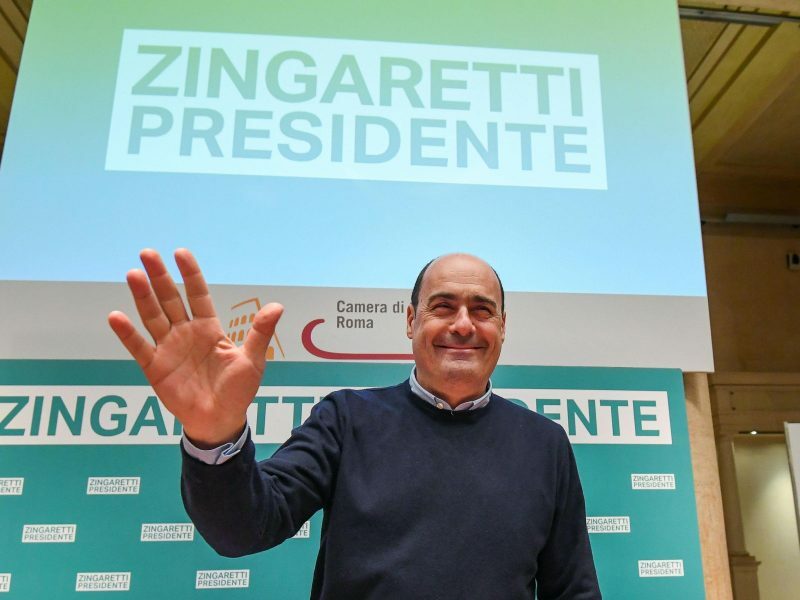 Newborn for centre-left: Lazio region’s governor Nicola Zingaretti triumphed in the primary elections of the centre-left Partito Democratico (S&D) on Sunday, becoming the new head of the centre-left party. 1.8 million party supporters voted in the primary. March against racism: Almost 200,000 people took the streets in Milan on Saturday in a big rally against the anti-migration policies of the governing party Lega. “It’s good to have peaceful demonstrations, but I won’t change my mind,” Lega’s leader Matteo Salvini commented. Moody’s upgrades Greek economy: US rating agency Moody’s has upgraded Greece’s foreign currency debt by two notches from B3 to B1 with a stable outlook. “The ongoing reform effort is slowly starting to bear fruit in the economy,” Moody’s said in a statement. Analysts expect that the upgrade will benefit the Greek government’s plans for a full return to the markets. Slovakians vs. Babiš over ‘soft’ EU projects: “I do not want [EU] money for seminars and workshops, we want concrete”, said Czech PM Andrej Babiš after the V4+Germany summit, which prioritised hard infrastructure projects funded by the EU in the next budgetary period. Czech President backs socialists: Czech President Miloš Zeman will vote for the Social Democrats (S&D), who he led in the 1990s, in the upcoming EU elections. The socialist party is one of the two most prominent parties in Czech modern history and is part of the government, but has suffered a recent drop in popularity. Deutsche Welle reported that the project still needs the European Commission’s approval while experts in Brussels have raised concerns over the Kremlin’s rising influence over the EU. (EURACTIV.com). Managing parties’ finances: Centre-right HDZ (EPP), the leading party in the ruling coalition, is doing well financially, recording a €150,000 surplus last year. The socialist opposition SDP also recorded a €55,000 surplus but still carries a €100.000 debt from the past. Campaign to save bees: The ‘Bee Preservation Month’ has been officially launched in Serbia with an aim to gather proposals for their preservation after improper pesticide use led to a significant drop in bee numbers. >> You can subscribe to The Capitals daily newsletter here. *SOURCE: EURACTIV Network. Go to ORIGINAL.